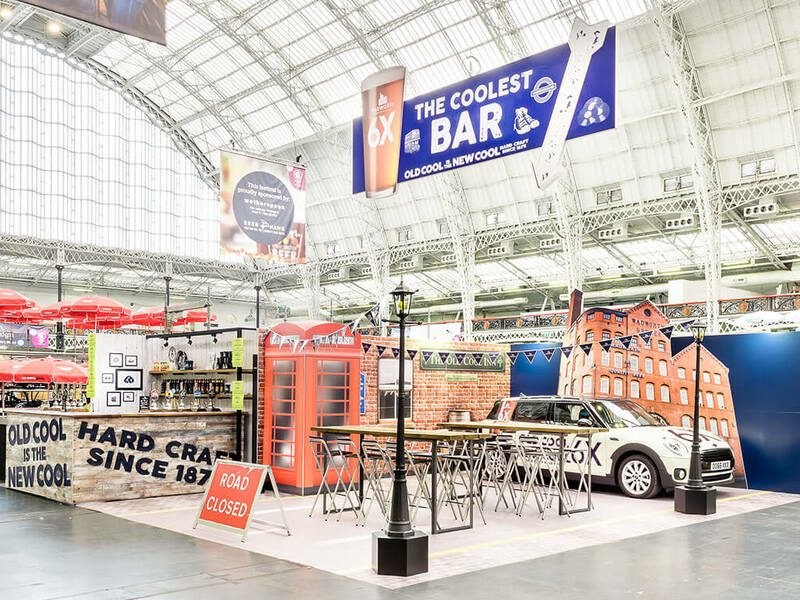 UK brewery Wadworth & Co. wanted to feature their premium beer brand ‘6X’ on their stand at the Great British Beer Festival 2017. As a continuation of their 6X roadshow Wadworth & Co. wanted to encourage people to enter their social media competition, where participants sharing their selfies and using the #6XSelfie could win a year’s supply of beer. 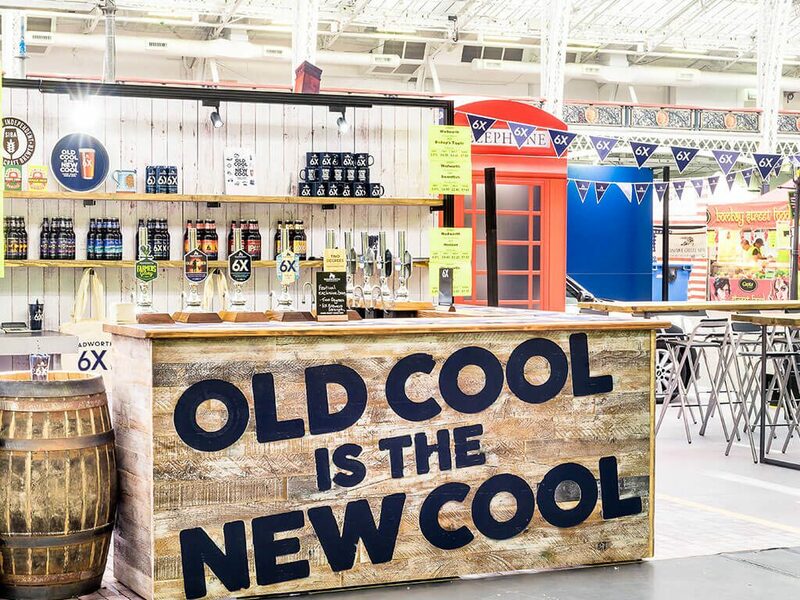 To attract visitors to the stand we created a large hanging banner pointing to ‘The Coolest Bar’ at the show directing visitors to the mock street party we had set up using the Wadworth factory building as a backdrop. The street party came complete with lamp posts, a 6X bar for visitors to sample the product, street signs and the Wadworth & Co. branded Mini. 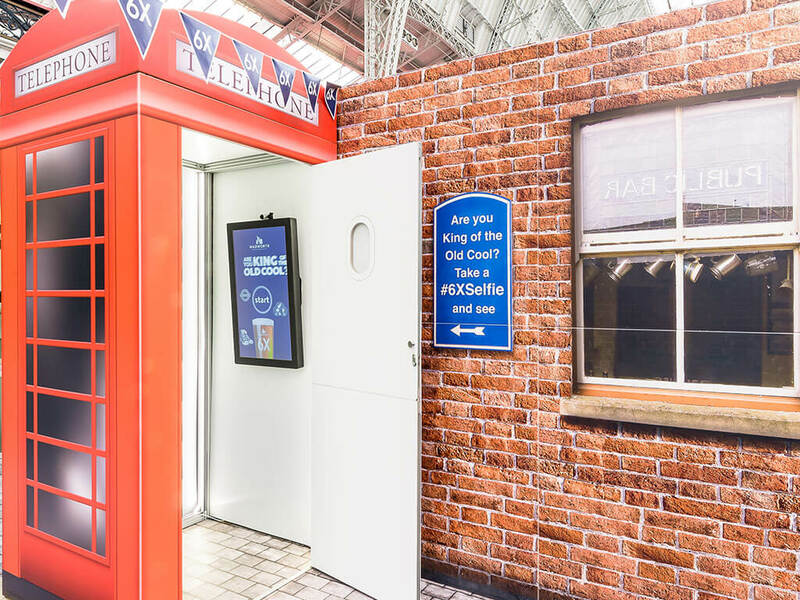 To encourage visitors to enter the #6Xselfie competition, we created a selfie booth in the style of a red telephone box which superimposed participants into images such as the Wadworth factory building. The resulting selfie could be posted directly to Twitter or emailed to the visitor providing Wadworth & Co. with a fun, indirect method of data capture. More than 250 selfies were taken in the red telephone box selfie booth, resulting in Wadworth & Co. receiving over 70 tweets using #6Xselfie.